Samuel K Thomas II A.K.A Vada Stacks was born on August 7th 1987 in Saginaw Michigan. At an early age, he would ride around with his mother in her 1988 Nova and listen to rap tapes by various artist. These Artist included Kool Moe Dee, Ice Tea, Ice cube and 2pac. There were many more, but these were the Artist that inspired him the most. These men put a fire in Sam that made him truly appreciate the art of music. The rawness, the grime and the grit of Rap and Hip Hop. It started another inspiring rapper. When Sam was in the 5th grade, he noticed that some of the older kids were outside by the building "free styling". As he walked by, one of the kids said a line that caught his attention. He walked closer and closer getting more and more intrigued with every step. So intrigued that he actually jumped right in and started saying a few bars. The circle got silent and listened, some of the older kids started nodding their heads as they listened saying "little dude nice". From that day forward, Sam kept going. He made his rap name "Young Deuce". In 2004, after recording a few songs in his cousins basement, Deuce began to doubt his ability to rap. Everyone kept shooting him down, and chopping his dreams off at the knees. He didn't think it was going anywhere, and decided to take a break. After a years time, around early 2006, he came back with a personal mix tape entitled "Ghetto Interrogation". This was basically him putting a "spotlight" on himself to tell his life story. This was a huge change. He changed his style, concepts, and even his name. 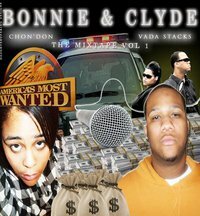 He exited the name "Young Deuce" and entered "Vada Stacks". He got the name from his ability to turn anything into a hustle, and make a profit. Just like they do in Las Vegas, Nevada. Stacks came from the word to describe large amounts of money. In 2009 with the help of his cousin, who had assisted him in learning the "ins and outs" of music, they penned the breakout song entitled "Checkin My Fresh". It became a sensation.